For the Archbishop of Cagayan de Oro, “the president's utterances should not be taken as a frontal attack on the Church” but as “a response to the criticisms the bishops made towards the government regarding the extrajudicial killings that take place in the country, as well as the unpunished murders”. On several occasions, Duterte publicly criticised the Church using violent and often vulgar language. Following the controversy, support for him is down. 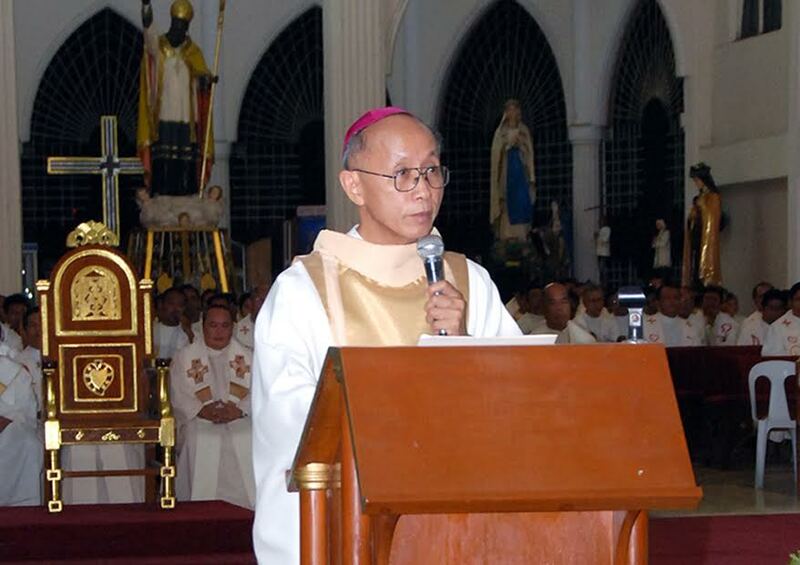 Manila (AsiaNews) – Relations between the Filipino government and the Catholic Church "are going through a complicated moment, like the personality of President Rodrigo Duterte," said Mgr Antonio J. Ledesma (pictured), archbishop of Cagayan de Oro and president of the Episcopal Commission on Mutual Relations Between Bishops and Religious (ECMR) of the Catholic Bishops’ Conference of the Philippines (CBCP). "We must also take into account Duterte’s temperament. What he says in in public does not always reflect what he really intends to do. After all, in the last few days he has said that he wants to foster dialogue with the leaders of the Church and other religious confessions. A delegation of bishops and representatives of the government are trying to reduce tensions." On several occasions, Duterte publicly criticised the Church using violent and often vulgar language. The last attack took place three days ago, when the president said that his God is not the one his critics believe in but the one of "the citizens who voted for him". Duterte has threatened to "kill" those who use God to strike at him. "No one can impose their own opinions on the Almighty," he said. Only the day before, the president met with Mgr Romulo Valles, archbishop of Davao and president of the Bishops’ Conference, promising to refrain from attacking the Church. Since he was elected, bishops and priests have censured some government policies, like the brutal war on drugs, which has left more than 4,000 people dead, and the imposition of martial law in Mindanao. The president's remarks have sparked outrage in a large part of the population, including accusations of blasphemy. "Not only Catholics but Protestants too have angered by the President’s words against God and the Church," said Mgr Ledesma. “Still Duterte continues to enjoy strong support, even though his statements have caused a significant drop." The Philippines has the most Catholics in Asia. Christians represent about 90 per cent of the population. Out of almost 105 million people, 83.6 million are in communion with Rome. Another 10 million are Protestant and about 820,000 belong to "other Christian denominations". The latest survey on 27-30 June by the Social Weather Stations shows that, for the first time since he got into national politics, support for the president declined in two consecutive quarters.